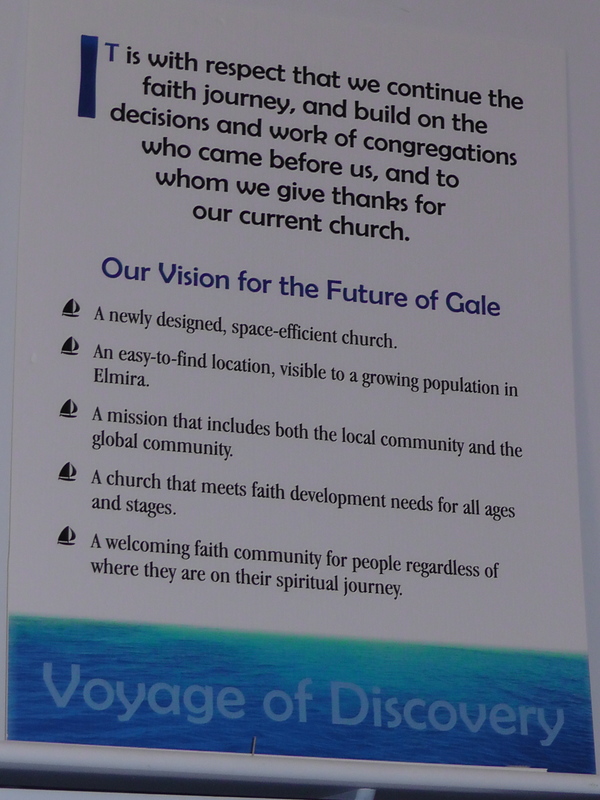 The congregation of Gale had considered the idea of moving from time to time over the years. While appreciating the history of early settlers who sacrificed much to build the church at 2 Cross Street, members realized the location was now land locked with no room for expansion, hidden by neighbouring buildings and difficult to find, and the parking was limited. Then, Gale was offered a gift. If the congregation determined it was time to relocate, a donation of $1 million would be provided to start the fundraising. 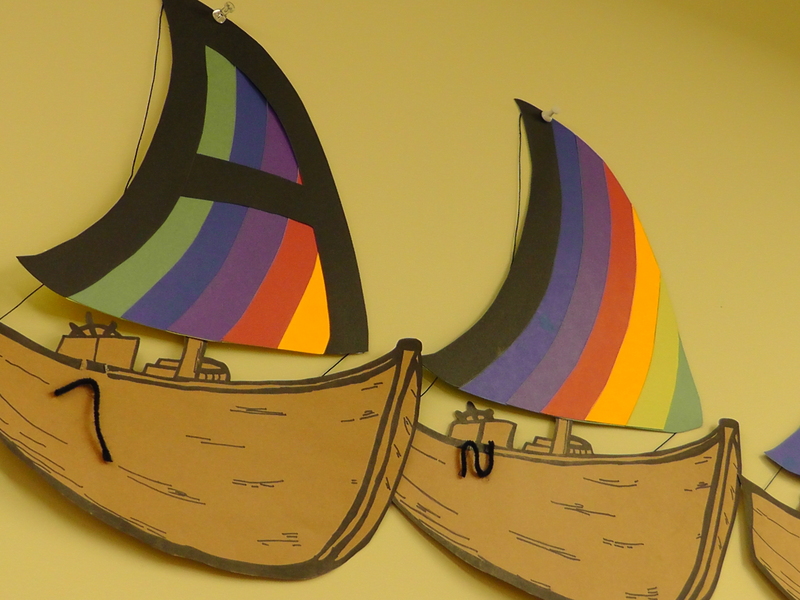 A church that meets faith development needs for all ages and stages. A welcoming faith community for people regardless of where they are on their spiritual journey. a Communications Committee to keep everyone informed And a committed congregation. Meetings with Presbytery were attended for approval at different stages. 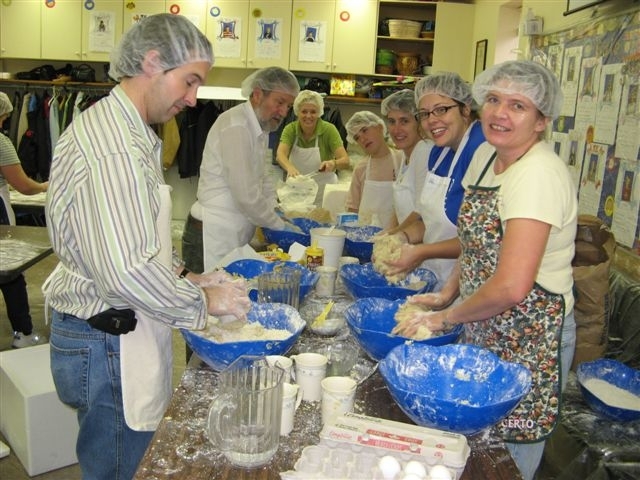 In 2004 a Feasibility Committee reviewed the financial issues after which the congregation approved a decision to move forward and look for a new site. It was agreed that the new location needed to be visible and accessible. As the search for land took place. 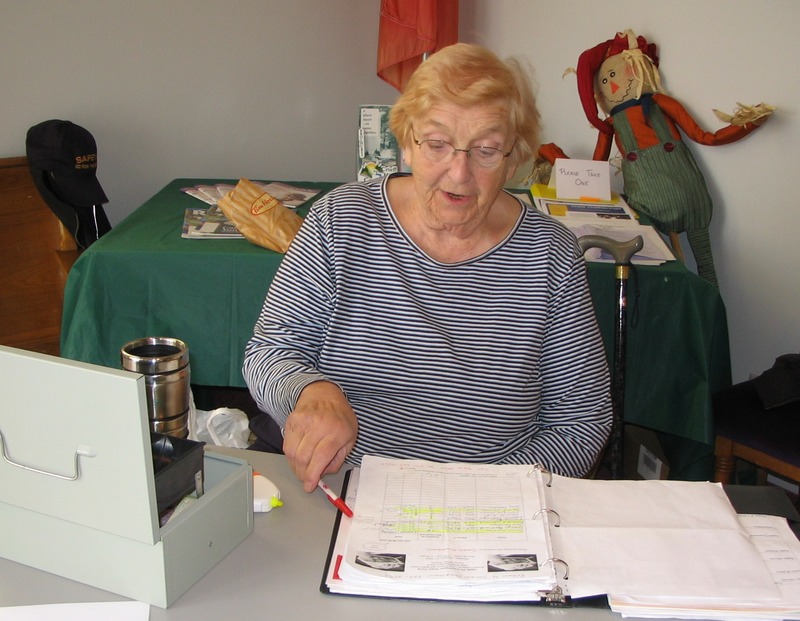 a community survey was conducted and the Committee began to consider the kinds of programs the church might be interested in providing to the community. 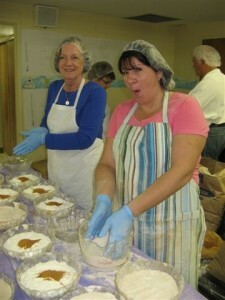 The Congregation got very busy raising funds for the new building. 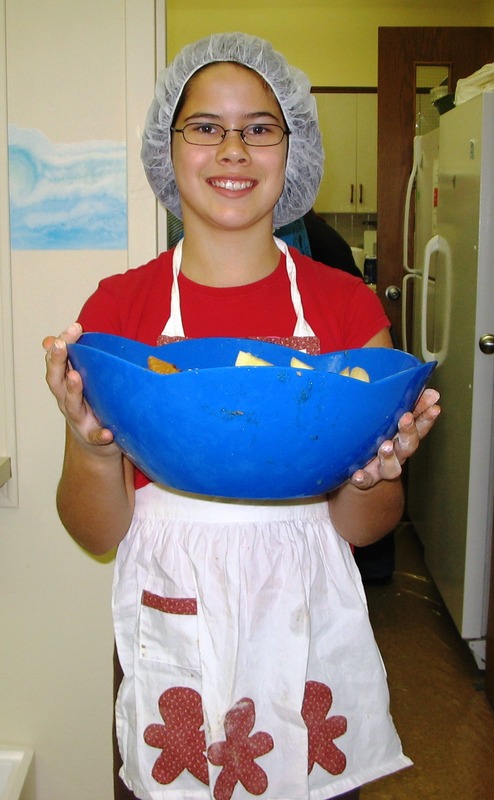 Among the many events, the annual apple pie fundraiser became a popular and successful fundraiser. 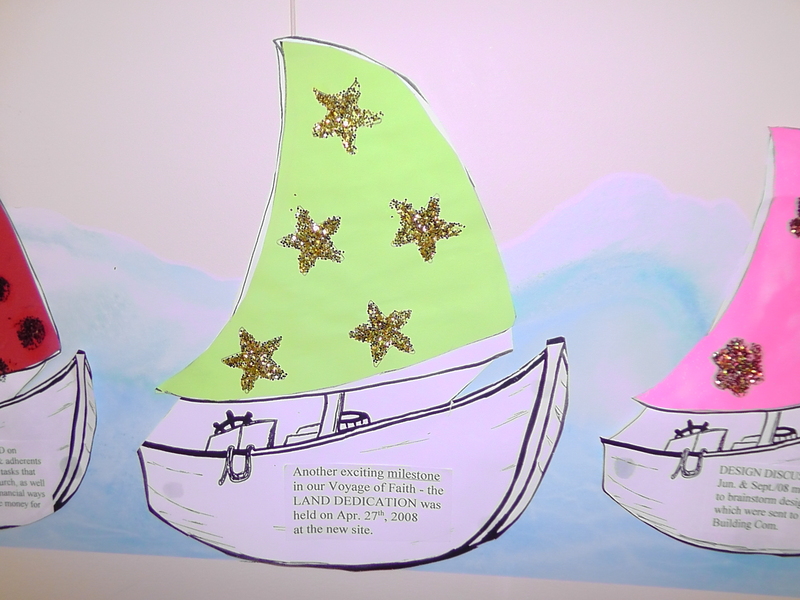 Milestones in the project were noted with sailboats, decorated by the youth; the boats sailed a border of waves that made its way around the fellowship hall. 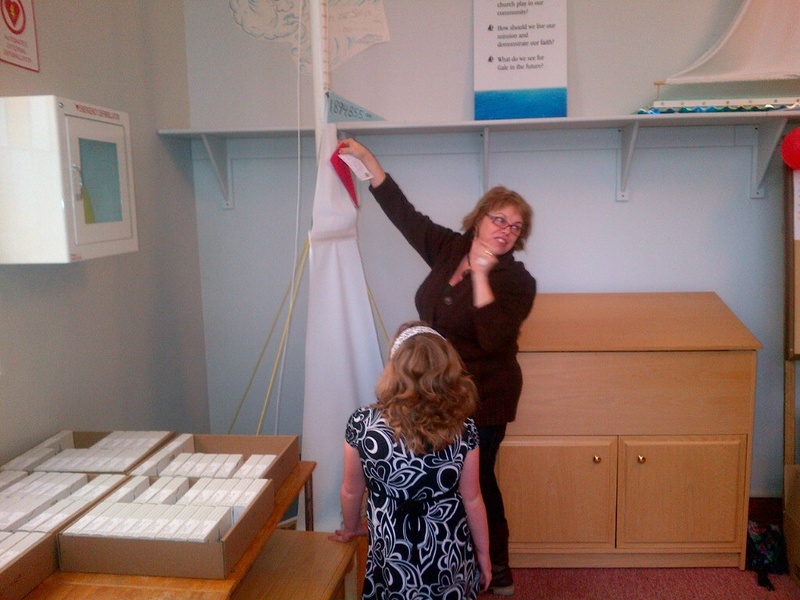 A sail in the narthex tracked donations. 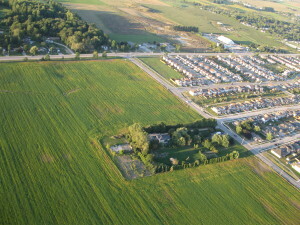 October, 2007 – Land Ahoy! 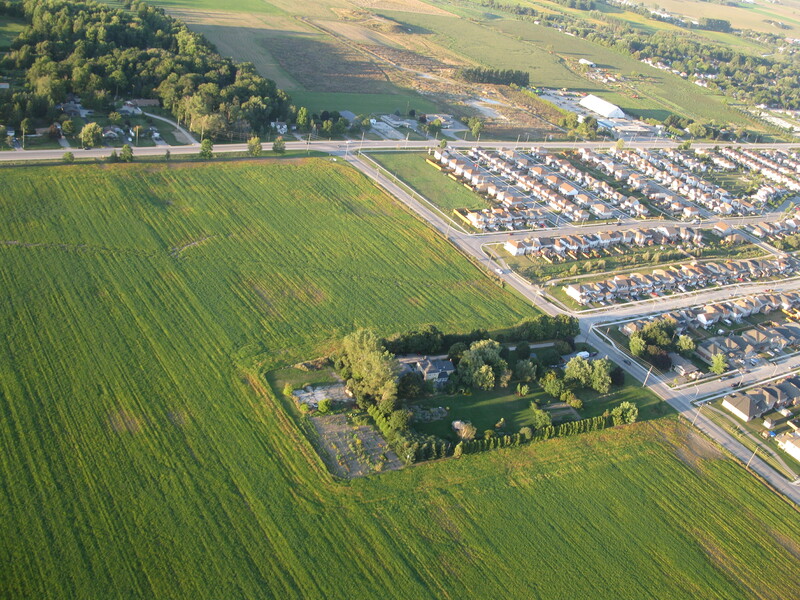 Gale Presbyterian finalized the purchase of 3.4068 acres of land, on the southwest corner of Church and Barnswallow, for a total cost of $1.068,879.09. 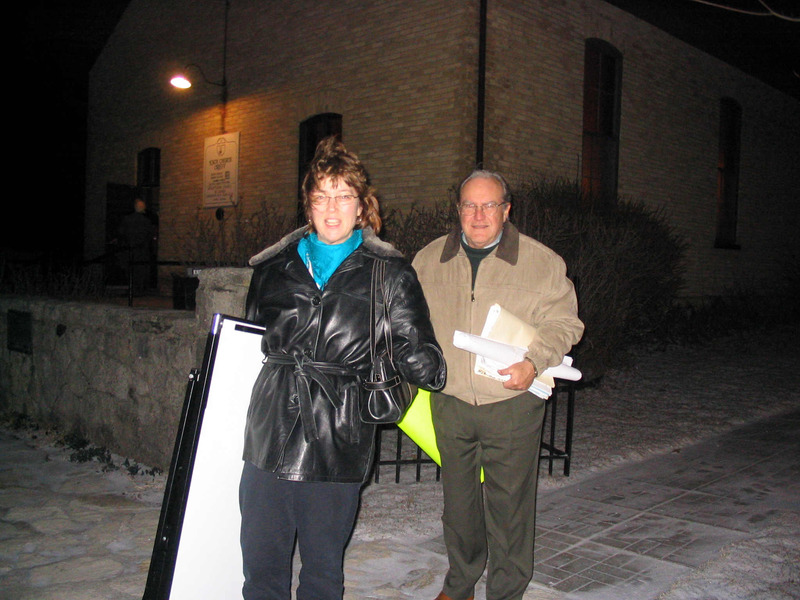 Two signs announcing the congregation’s intention to locate on the corner of Church and Barnswallow were erected early in April with the help of a few able-bodied members. Under sunny skies and two newly erected signs, the congregation gathered at the corner of Church Street and Barnswallow Drive on Sunday. 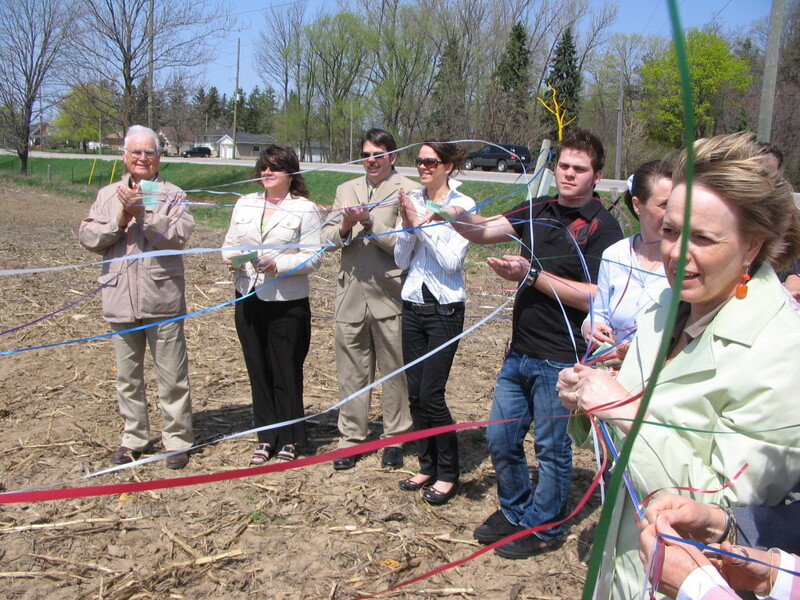 April 27, 2008 to dedicate the land.The dedication service, officiated by Rev. Dr. Linda J. 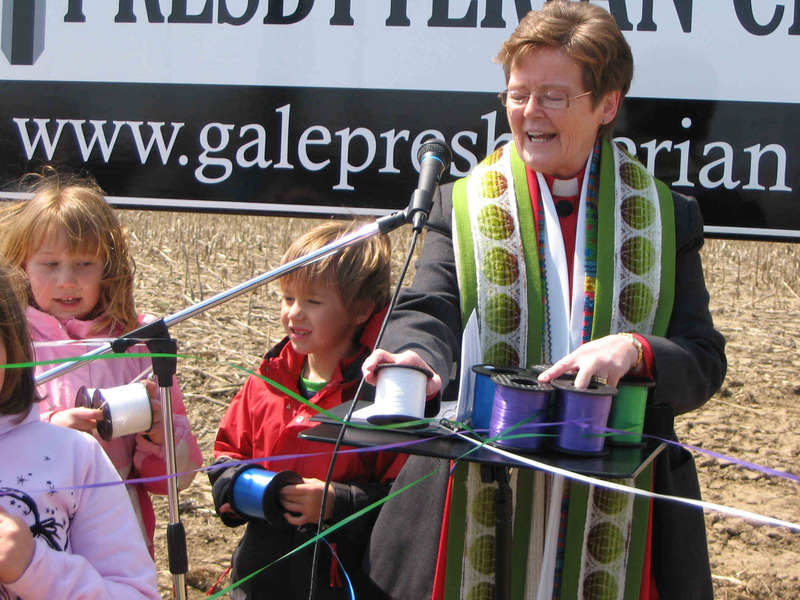 Bell, was held following the regular church service.Children of the church brought streams of green, purple, red, white, and blue ribbons to members, who grasped the ribbon to be joined as a family of faith. The colours of the ribbons symbolize the liturgical seasons of the church. The ribbon colours White – the resurrection of Jesus and of us; sacraments of baptism, communion; weddings Blue – the season of advent, hope, waiting, expectation Purple – the season of lent, passion, pepentance, walking with Jesus Red – the season of Pentecost – giving of the Holy Spirit, and the birthday of the church Green – ordinary time, all the Sundays in the year, symbolic of growth and the continuing presence of God with us always, including during the ordinary, routine times in our lives. The congregation began to review draft designs for a 10,000 square foot church to include a sanctuary, library, fellowship/gym, kitchen, nursery, choir room, and office area on the main floor with an additional 3,000 square feet of basement to include meeting rooms, youth and Sunday school rooms, and office for a choir director. 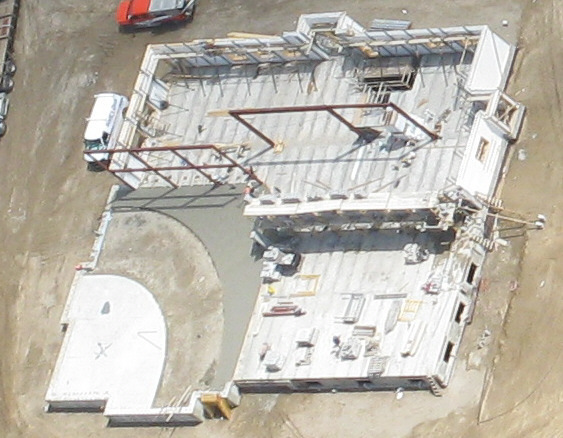 A projected date to move into a new facility was October 10, 2010. It was a target intended to motivate, which it did; however, the end was not in sight yet! 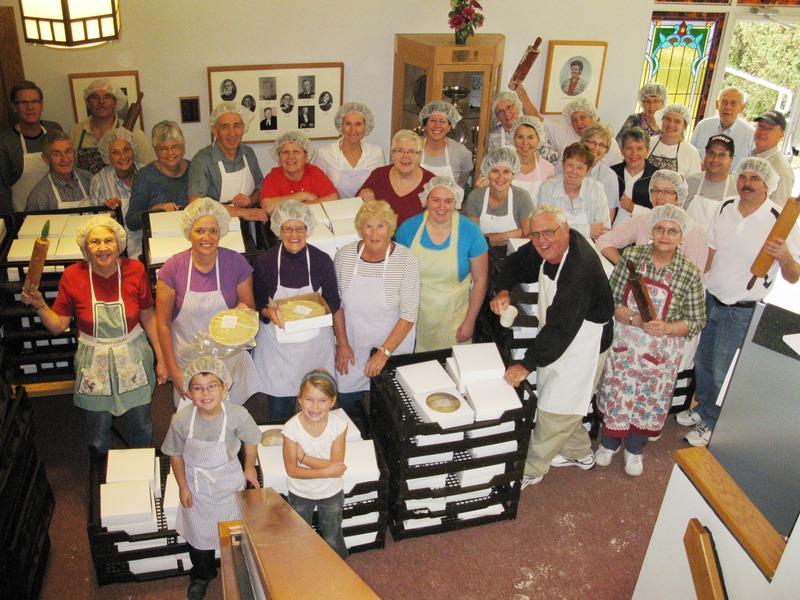 And the congregation kept rolling pastry and selling apple pies! 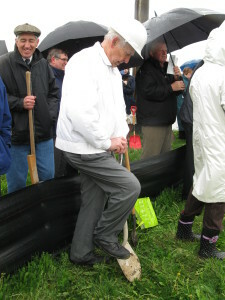 Under less than ideal weather conditions, the sod turning was a soggy event but it could not dampen the enthusiasm of members. 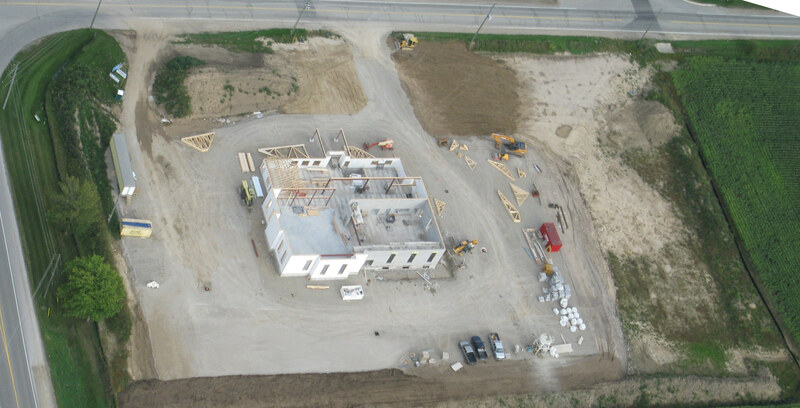 The congregation approved plans for a 10,000 square foot, two-level church on Aug. 18, 2011. 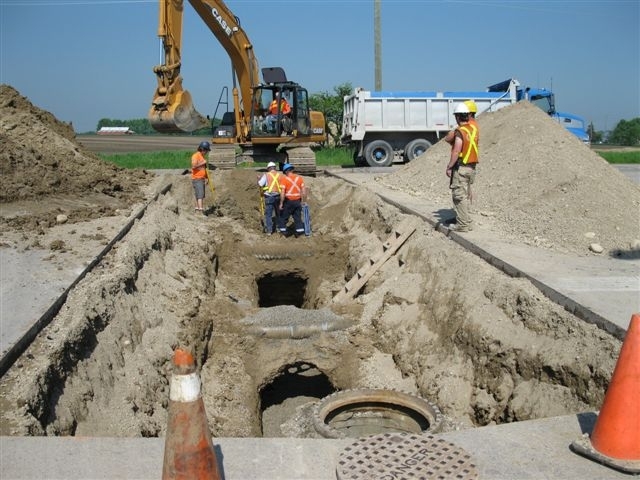 Contractor Frey Bros Ltd. of Hawkesville, was awarded the contract after a biddin g process. “Based on the experience of other congregations, we are on target, if not even a bit ahead of schedule,” said Steering Committee co-chair Lee Coulman. The approval by the congregation was the first step toward a construction start date. The Presbytery of Waterloo-Wellington then approved the plans, which were then sent for approval to a National Architecture Committee of the Presbyterian Church in Canada. The construction budget was $2.1 million.